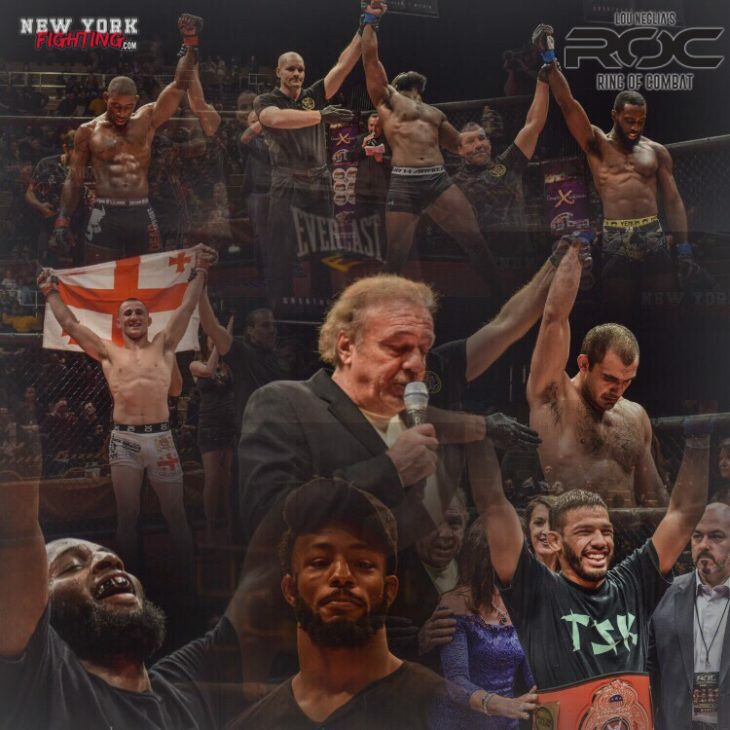 ROC 57 Fight Results | Lou Neglia's Ring of Combat | Next Generation of Mixed Martial Arts! Last night, Lou Neglia and Ring of Combat took over the Tropicana Resort and Casino in Atlantic City once again, for another night of action packed nights. The fight card took some late hits, with fighter injuries causing multiple fights to be cancelled. Most notably was undefeated featherweight prospect Andre Harrison, who was unable able to compete due to his opponent not passing pre fight medicals. The night also marked the first Ring of Combat event since the passing of promoter Lou Neglia‘s beloved mother, she came to all of his shows. There was a beautiful tribute to her, with a moment of silence and a 10 bell salute in her honor. As always, the night was filled with top level regional talent, and some new fighters beginning to make some noise of their own. Standouts of the night were Dashawn Boatwright,Merab Dvalishili, and Tajuddin Abdul-Hakim, with our Fight of the Night going to a classic featherweight title bout between Frank Buenafuente and New Champ Julio Arce. Julio has now held Ring of Combat belts at both 135 and 145. Congrats to to all the fighters who stepped in the cage and competed, as Mr Neglia says, “you’re all already winners“. PHOTO GALLERY by NEW YORK FIGHTING Coming Soon!